The law firm of Coleman Jackson, P.C., helps foreign workers explore options for coming to the U.S. for work purposes. We also help clients explore their options for remaining in the U.S. once the work visa has expired, whether through family-based petitions, naturalization, or other means. We work with skilled workers from all around the world, including Mexico, Colombia, Brazil, Africa, and other locations. To speak to a Dallas attorney for business immigration — whether you are a business owner in the U.S. or a foreign worker - please contact us online. The L-1 visa is a temporary work visa that is used primarily for intercompany transfers. Executives, managers, and other professionals with special skills often use the L-1 visa to come to the United States to work. We help businesses in the United States understand the requirements for seeking an L visa on behalf of a foreign worker. We also help foreign workers understand the L-1 visa requirements that would allow them to live and work in the United States. Although L visas are temporary, many workers apply for permanent resident status once their L visa has expired. 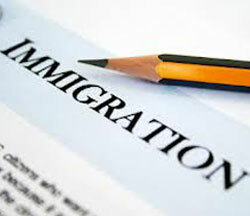 Our immigration law firm can help you explore options for remaining in the United States after your visa has expired. If you are interested in learning more about employment-based visa options in Texas, please call 214-599-0431 or contact an immigration lawyer online.